Thought you might like a cocktail. A sparkler. Don’t you like that word? Sparkler. It’s bubbly and pinkish and Valentiney! Cute. But don’t be fooled — it’s also full of bourbon. It will punch you in the face if you’re not careful. I don’t mix up cocktails on the regs (hi, wine), so this took some experimenting, but the combination of smokey bourbon, sweet, tart pomegranate and bright lime is a good one. Give it a try! Make it for your Valentine! Punch someone in the face with it! The possibilities are endless. Fill a tall glass with ice. 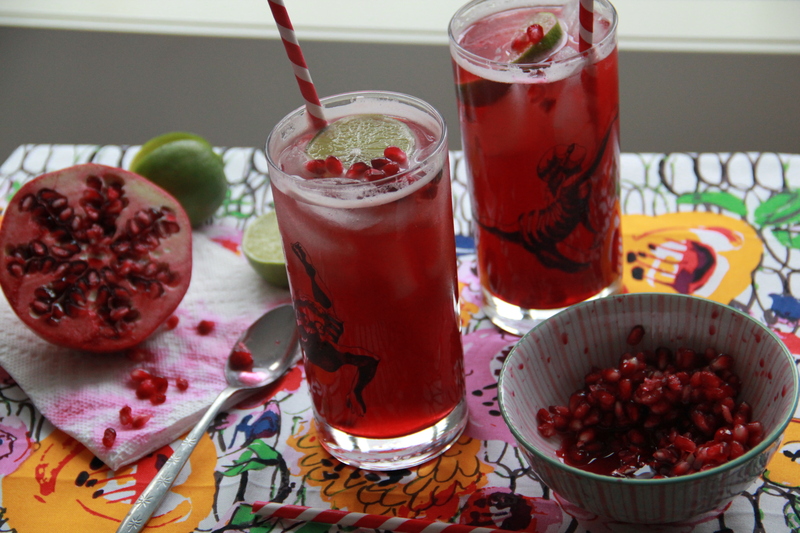 Pour bourbon over ice, add pomegranate juice, and top off with seltzer water. Stir gently. 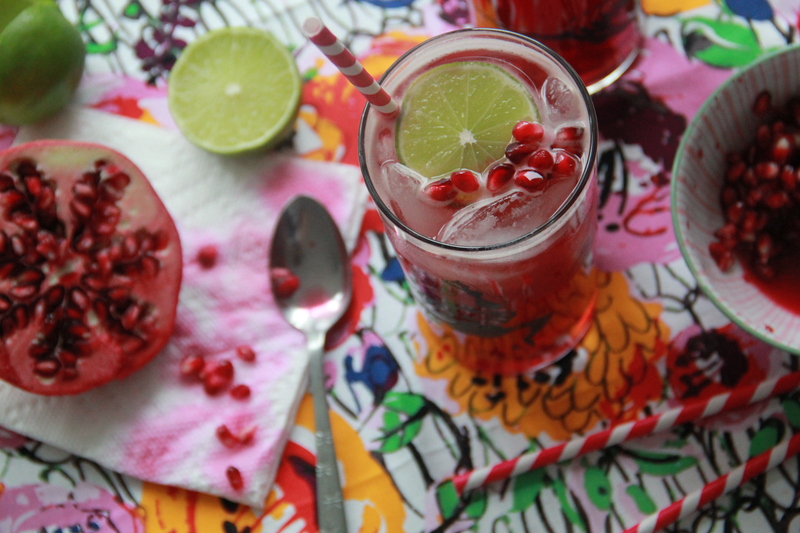 Finish with a squeeze of lime and garnish with a spoonful of pomegranate seeds. Oh my goodness. 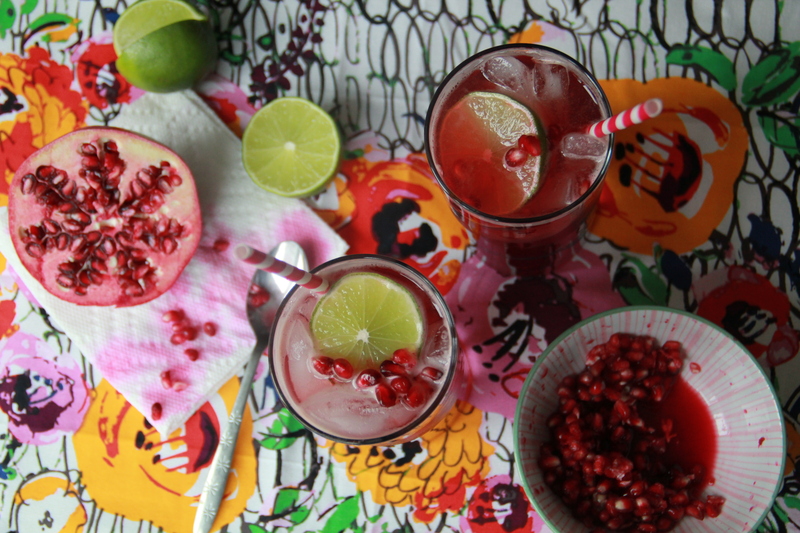 What a pretty drink! And yay, bourbon!